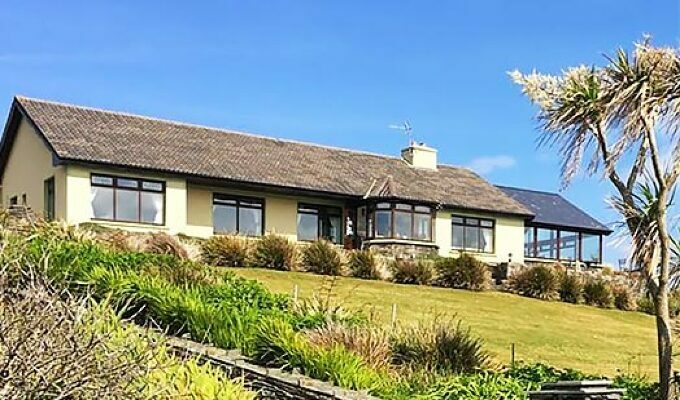 SandyCove House Bed and Breakfast in Castletownshend near Skibbereen West Cork is in beautiful scenic location with breath taking views of the Atlantic ocean and a stone throw from a beautiful sandy beach. This is an ideal location for swimming, windsurfing, cliff walking and fishing. All bedrooms come fully equipped with tea and coffee making facilities, television, hairdryer, ensuite and of course good Irish hospitality. Beautiful place, great breakfast and a welcoming host. A great location, friendly and helpful hosts.